The Hilton Baltimore hotel holds a prime place in the Inner Harbor, a popular historic, cultural and business district. This downtown hotel is next door to Camden Yards and across the street from M&T Stadium. It's also connected to the Baltimore Convention Center and a quick 15 minutes to BWI Airport. Restaurants, indoor/outdoor event spaces, fitness options - we have something for everyone. Beware of hotel reservation scams. 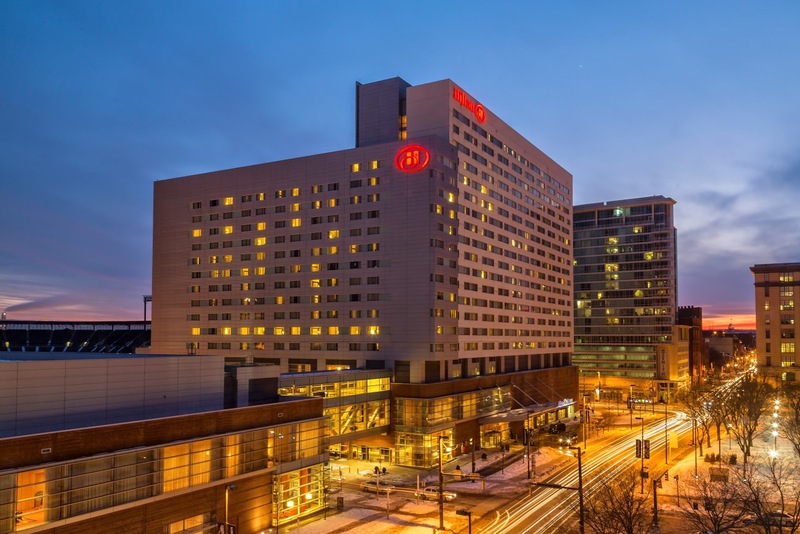 The official APWCA 2018 room reservation block is directly through the Hilton Baltimore. Solicitation of hotel reservations from any other housing provider is not approved by APWCA. Hotel reservations by other travel organizations may appear to be for lower rates, however they may be illegitimate. Please be aware of, and report, any unauthorized solicitation to APWCA at 337.541.2240 or info@apwca.org. Click Here to Book Online or call 443.573.8700 and reference "American Professional Wound Care Association (APWCA) 2018"
Uber/Lyft: Approximately $20 each way. Meet your driver outside on the arrivals level. Taxi Cab: Approximately $30 each way. Taxi stands are located outside of the baggage claim area on the Lower Level of the airport terminal near doors 5 and 13. Super Shuttle Service: Approximately $15 per person, each way. Shuttle vans can visit multiple hotels on the way to the Hilton Baltimore. Click here to reserve online. Light Rail: Approximately $2 per person, each way. Catch the regional railway from the Airport to the Convention Center station located directly outside of the Hilton Baltimore. Click here for schedules and more information.